In a presentation given at the Coalition for Networked Information’s 2013 Fall Membership Meeting in Washington, DC, K|N’s principals outlined our proposal for a transformative rethinking of open-access publishing, with the goal of engaging the audience in a conversation about the pros and cons of our proposed model. 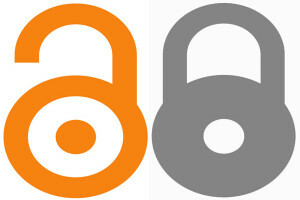 We propose an open-access solution for a primarily closed-access world. While we discussed how our model would cover the costs for traditional formats for publication, such as articles and monographs, we emphasized that what we are really trying to do is present an approach to funding the entire scholarly communication infrastructure, not simply certain types of research output. Because none of us can predict what new forms of communication will come into use in the next few years, our model looks for a way to support whatever new modes may arise. We suggested putting together societies, institutions, and libraries in collaborative ways that have not been tried before, at least not at scale — admittedly very challenging, but potentially very rewarding. We emphasized that we are focusing in the first instance on the humanities and social sciences. For all the problems inherent in an article-processing charge (APC) OA funding model, in STEM that model does work, at least for now. HSS needs are different. We made clear that we are looking to the institutions to fund this model, not necessarily to the libraries. The numbers we cite may look large to a library, but are quite small at institutional scale. We insisted on our goal for full participation from the entire higher education community, from small community colleges and large research universities alike. As everyone will benefit from a world in which all research output is freely available, everyone should pitch in to make this the reality. This presentation summarized a much longer green paper, available only online.